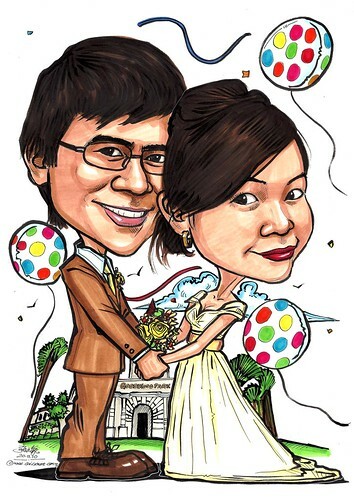 My fiancee,Valerie, and I love your caricatures, and would love to get ours, along with both our parents' done for our wedding on 20 November 2010! Theme: Bride in off-shoulder wedding gown, Groom in Suit.Backdrop featuring Goodwood Park Hotel. Day-time look. Preferably less stiff looking caricatures of us, more "interactive" type of emotions/look between us." Theme: Dad as a Chef. 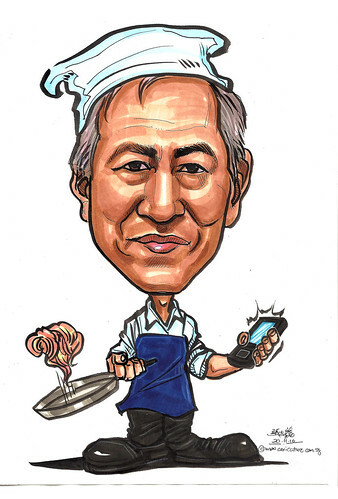 Possibly holding a frying pan/ spatula on one hand, and another hand holding his Sony Ericsson Hazel mobile phone; because he will always text us the menu for the day"
Possibly with a big handbag that's opened (she loves her bags! 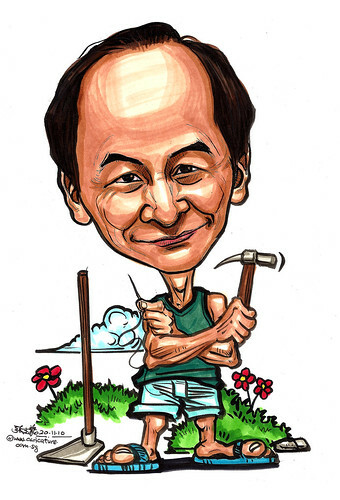 ), and from within she reaches into the bag and dishes out hearts with both hands"
Theme: Daddy as a Handyman/Mr Fix-it. Possibly holding a toolbox, or working on something in the house; because Daddy's able to do anything and everything, from fixing electrical stuffs, to gardening, to sewing, to plumbing, to cooking etc etc." Possibly cooking, keeping the home in pristine order. Aligning bed linen to hotel standards, packing books, clothes etc away neatly and in order." "My mum looks like my mum... Your dad looks like your dad! .....My dad looks like my dad...... So cute! So beautiful!" 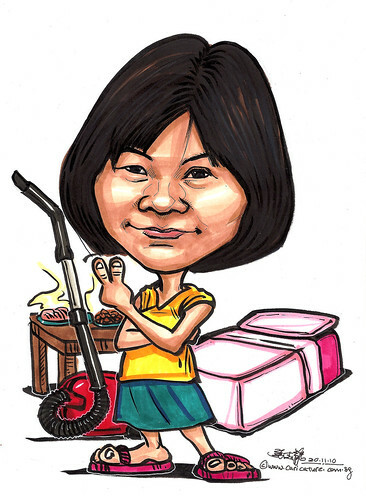 Thanks for the caricatures of our parents and also of us, it's really well drawn! 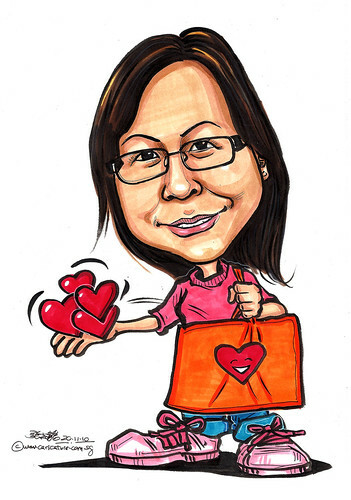 We love your interpretation, looking at the caricatures makes us smile :)...."